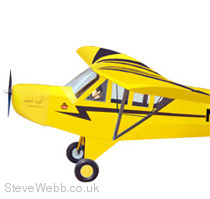 She's big and yellow, This model retains the looks of the standard Cub, but is more aerobatic with the clipped wings. You could say in the Cub world, she's a Wolf Cub in Sheep's clothing! 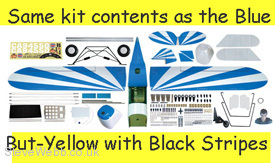 Seen too many standard Yellow Cubs? but still fancy a Cub? Then this is for you! 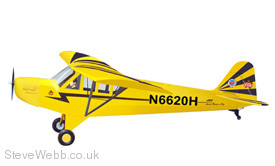 More aerobatic than the standard, the Clip Wing Fullsize was an Uprated Cub with shorter span, larger control movements and a more powerful engine _ you can do the same in large model form!